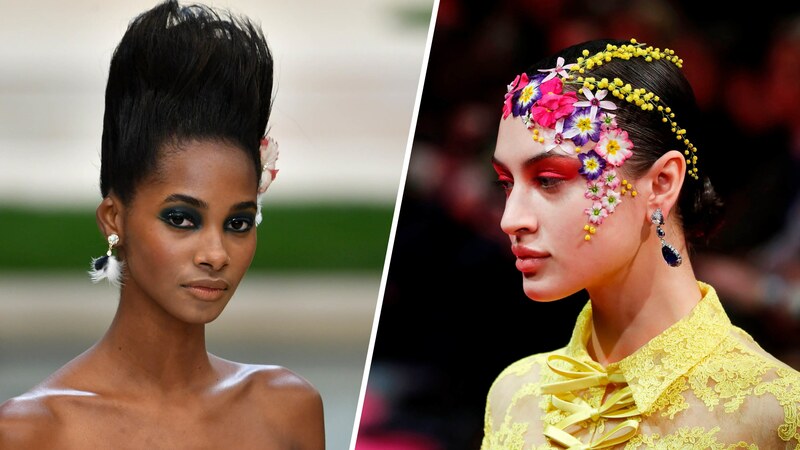 When it comes to sporty hairstyles, updos are the fist on the list. But if a usual updo is not for you then try something different. Here is a curly version of the updo that you are going to fall in love with it. This updo is nothing but chic. Its beauty comes from its simplicity. All you need to do is curl your hair (if of course, you are not curly naturally) then twist your hair and secure. The texture is the key to this outstanding look. However, use some leave-in conditioner to keep sweat induced frizz at a minimum. 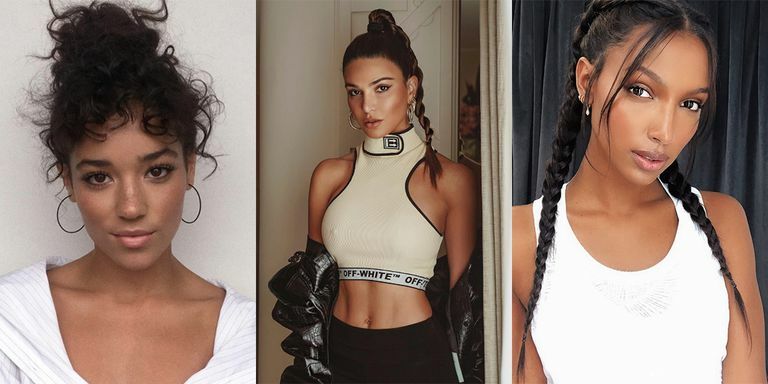 These signature bangs paired with French braid are everything. You can’t go wrong with this amazing hairstyle. It is excellent to wear both formally and casually. However, you can even spice up the look with some colors. How about hair extensions? 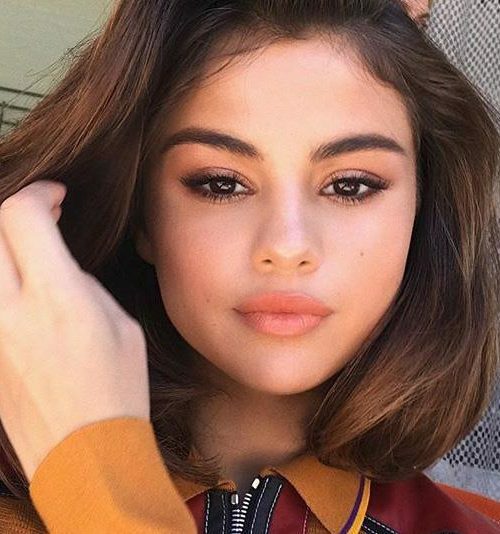 A pop of color will give a new breath to your regular hairstyle. However, the best thing about this style is that it is super easy to get. 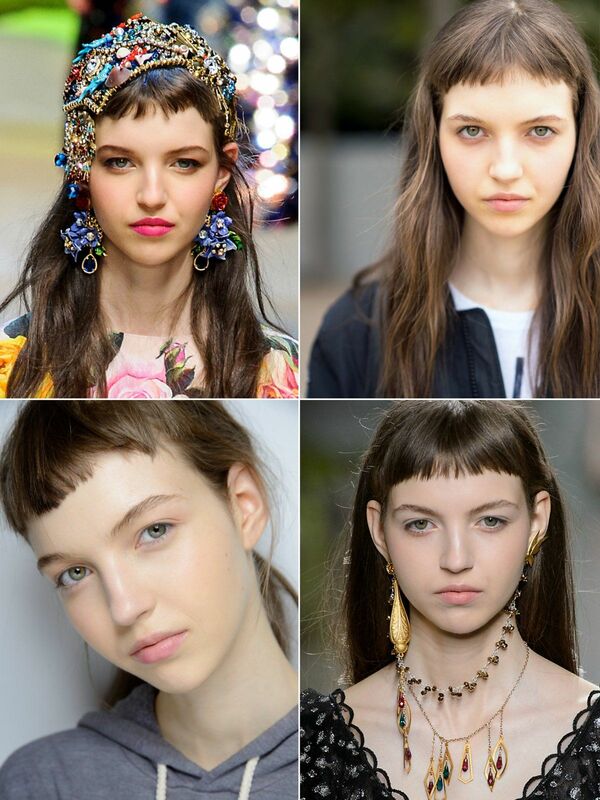 Boho-inspired hairstyles are everywhere. Girls will never stop falling for the style since it expresses beauty and femininity. 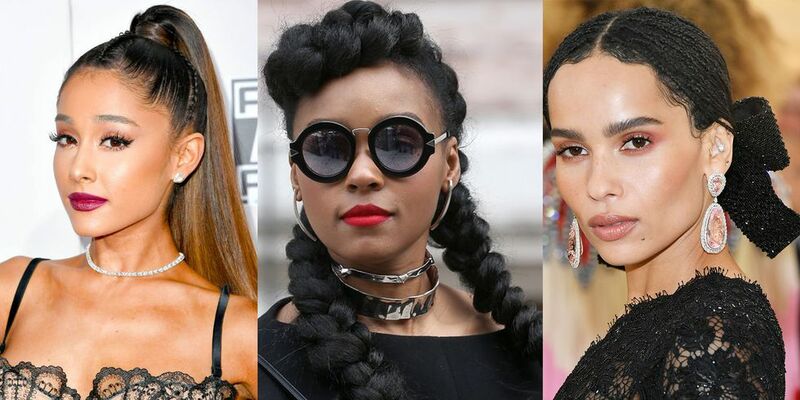 Braiding your bangs may not be as impressive as getting a thick braided crown, It will make your hair appear thicker grabbing too much attention. Keep your hair wavy to achieve more thickness and texture. Try the style for yourself it is so easy to get. 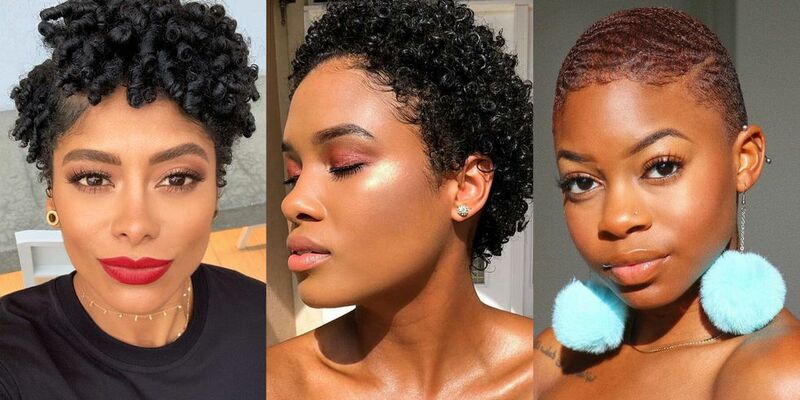 Tapered haircuts are not only for men but also for women. Just have a look at this gorgeous model with a cut like this. The sides and back of the hair are usually cut shorter than the middle, so you have a chance to style your hair the way you want. A side part tapered haircut with bouncy curls is nothing but chic. Get the crop and get it for yourself to draw attention. It is impossible not to love a hairstyle that sets you apart from everyone out there. Well, the big hair accessorized with flowers in all shades, feathers, and striking turquoise feather. The majority of models have been wearing a magenta-colored lipstick that was matte and super bright. Everything about the styles has been perfectly matched. The best example is just shown below, take it is a source of inspiration for your next incredible look. 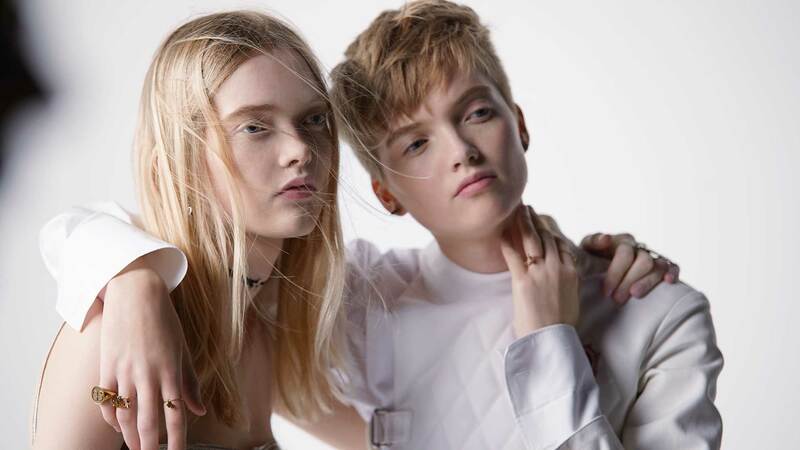 Perhaps this is the most unexpected way of tucking the strands but it is really worth your attention since this way of gathering the hair has been spotted on catwalks of Chanel. The models were walking having their hair tucked over their neck. Indeed, in this case, the right chosen hair accessory is crucial. This hairstyle is great for formal days, so if you are invited to a party just take the style and go ahead. 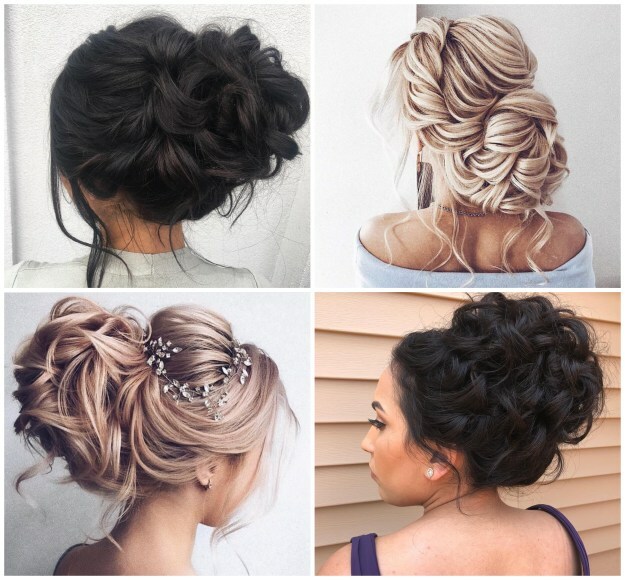 A right hairstyle is necessary for every life event- be that a party, workout, or just an everyday look. Today we have decided to put together some workout hairstyles. Well, most of them are all about up styles with details, such as braids. A workout hairstyle should be comfortable as well as stylish. Get your excellent workout do and make a big impression on people surrounding you. Want to add a surprise detail to your hairstyle, well, consider a single braid. It is a practical idea to enhance your hair design. Apart from it, the braided updo is a fabulous idea for those who don’t want to feel any flyaway strands out of the braid, so in case, if you have a short or layered hair, take it off from your face and you can lift in peace. It is an excellent hairstyle for everyone with medium or long hair.